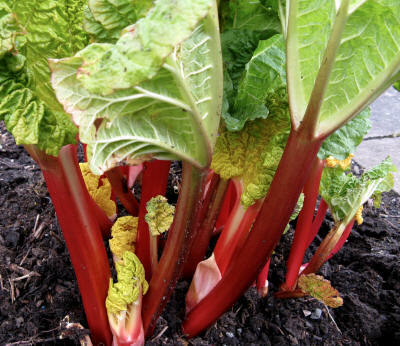 Growing rhubarb couldn't be easier. Even here in the UK where it is much cooler it doesn't really pose a problem. To get an early crop we use large containers and initially keep in a small greenhouse. They are moved outside when the weather permits and this year was later than usual. Given a drink every day and a feed once a week will produce very healthy and edible plants. The main growing season is from April through to July. Beware of the leaves as they are toxic, containing oxalic acid. Definitely poisonous to humans, but you can compost them. They can, however, be made into an environmentally-friendly liquid strong enough to kill a variety of garden bugs. Located between Wakefield, Morley and Rothwell (inside the more well-known towns of Leeds, Wakefield and Bradford in the UK) is the 9-square-mile Rhubarb Triangle. It used to be much larger and at its peak covered an area of some 30-square-miles. The triangle is famous for producing early forced rhubarb which, basically, is growing out-of-season indoors and there are, can you believe it, only 12 farmers left that do this. The stalks vary in colour from a crimson red through to a light green with a shade of dappled pink in between. The colour results from the presence of anthocyanins, and varies according to both variety and production technique. Most people prefer the red coloured stalks but the green produces a higher yield. It is member of the family Polygonaceae and was first brought to Europe by Marco Polo. Primarily for cooking, it has been used as a medicine, especially in Chinese culture for thousands of years. It is both antibiotic and anti-inflammatory. Here are a few enjoyable ways in which to get the best from your plant. 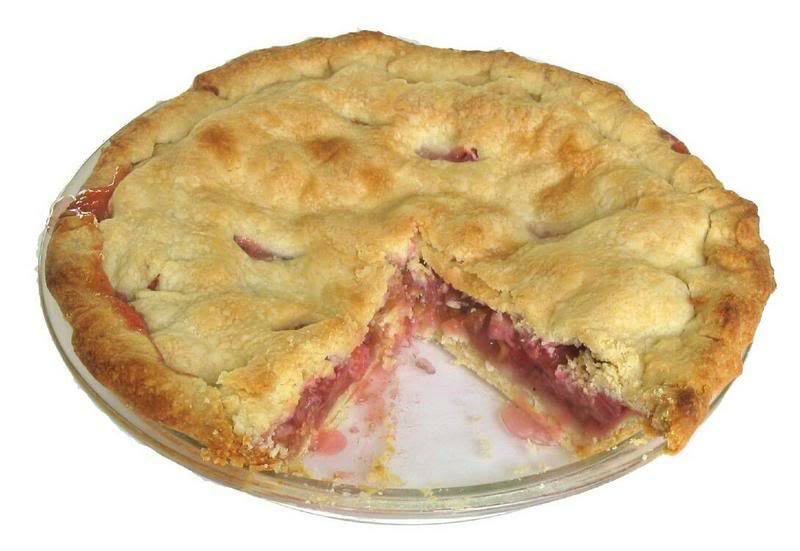 When I was somewhat younger my mother used to give me and my brother and sister a stick of tender rhubarb to dip in a small bag of sugar, in place of sweets. Do you remember doing the same? In the past this vegetable/fruit was sold for ten times the price of cinnamon in France and over twice the price of opium in England! Because of the bitterness and the high acidity of cranberries this is a great substitute. The redder the stalk, the sweeter the taste is just a myth, green is just the same so take your pick. 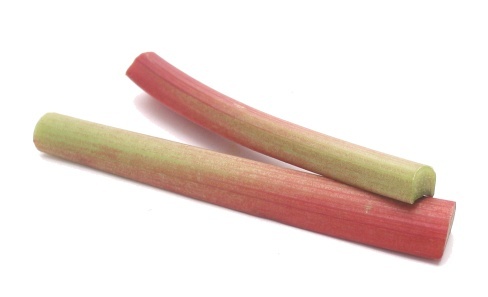 If you want to store rhubarb then it can be frozen either raw or cooked as both freeze well. In botanical terms this is classed as a vegetable although I have place this page under 'Fruits', as that is what I believe the majority of people regard it as. In fact, in the USA, back in the late 1940's, a New York court ruled that,'as it is used as a fruit, it will be called a fruit'. There was a useful side-effect, that being a reduction in taxes paid! This is what most people enjoy, with or without a good helping of custard.